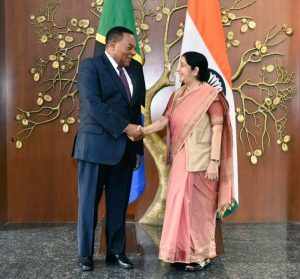 India and Tanzania on Tuesday signed two MoUs in presence of External Affairs Minister Sushma Swaraj and Tanzanian Foreign Minister Dr. Augustine Mahiga. 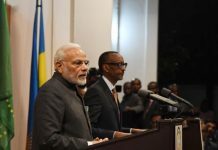 The two Ministers exchanged views on regional and global developments, including the East African Community Secretariat based in Tanzania, counter-terrorism, Indian Ocean Region as well as defence and security collaboration between the two countries. The two nations agreed to consider bilateral agreements in areas such as investment treaty, customs cooperation, blue economy, extradition treaty, mutual legal assistance, cyber-security and cooperation in geology and mineral resources. The understandings and decisions of the Joint Commission were concluded in the form of Agreed Minutes of the Joint Commission signed by the two Ministers. 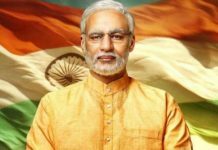 During the Joint Commission, the two countries signed an MOU on cooperation between Foreign Service Institute of India and the Centre for Foreign Relations and National Research Development Cooperation and the Tanzanian Industrial Research and Development Corporation. 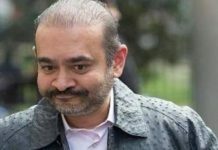 “Following India-Tanzania JCM, 2 MoUs were signed in the presence of EAM @SushmaSwaraj & Foreign Minister Mahiga: between Foreign Service Institute & Centre for Foreign Relations;and National Research Development Corporation & Tanzania Industrial Research & Development Corporation,” Ministry of External affairs spokesperson Raveesh Kumar tweeted. 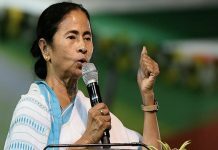 “Comprehensive discussion held on stepping up cooperation in trade and investment, defence and security, development partnership, Science and Technology, oil and natural gas, culture and people-to-people relations,” said EAM.